Identification: This Agreement is between Infotex Inc. (hereinafter referred to as “Provider”) and Workshop Attendee, Recipient of Provider’s Boilerplate, or person or entity purchasing templates and/or boilerplates from Provider, or anybody using an infotex boilerplate or template or any reason (hereinafter referred to as “Client”), for the purpose of transferring copyright to Client. It governs the use of materials which are copyrighted by Provider. This agreement is executed when Client (or Client agent, including infotex) removes the “Boilerplate Language” from the document. This is the blue language found at the beginning of all infotex boilerplates, and starts with the bold blue word: “Boilerplate” or the bold blue word “Template,” for which without removal would render the document useless. Assigns: Client may use policies, procedures, tools, and training materials provided as a part of any workshop as defined below or from any purchase from Provider for Client or any companies, divisions, sister corporations, or affiliates fully owned by Client. Client may not assign ownership of these documents to any other company that is not fully owned by Client without the express written permission of Provider. Scope: This contract covers any document provided to Client as a boilerplate or that Client receives via our portal. In addition, this contract covers documents that may have been customized or partially customized and provided to Client. Transfer of Copyright: With this agreement, Provider grants express written permission to Client to use, modify, and copyright the documents customized and delivered as described above. Restriction of Use: Client agrees that these documents or modified versions of these documents, or documents that are based on these documents, will not be used for any purpose other than helping Client define their Information Security policies and procedures. Specifically, Client agrees that these documents, modified versions of these documents, or documents that are based on these documents, will not be used for any financial institution, healthcare organization or any other operation other than Client’s operation. Furthermore, Client agrees to credit Provider in all training documents presented in electronic form. Any document presented to “groups” for the sake of training, except policies and procedures and standards, such as a PowerPoint presentation as well as documents distributed employees in a group, must credit infotex. Such credit should be in the form of retaining the infotex logo in the appropriate place on the document. Policy, procedure, and standard documents do NOT require such credit. To use an example for clarification, the Acceptable Use Policy does not require retention of the infotex logo. However, use of any of the slides available in the Annual Awareness Training PowerPoint, or distribution of the Comprehension Quiz, would require the infotex logo be presented in the training session or distributed document. Allowable Use: Client is allowed to use these documents for the purpose of documenting policies and procedures in place at Client’s organization or providing training to its employees. Documents may be modified and/or combined. 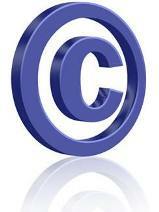 Modified documents may be copyrighted by Client as long as the copyright is owned solely by Client. Client also agrees that Client will not disclose, directly or indirectly, to any third party these documents except for official audits, examinations, consultations, or subpoena. Acknowledgement of Value: Client acknowledges that Provider has invested thousands of man-hours in the development of the boilerplates from which these documents were derived, and that these boilerplates are considered the intellectual property of Provider. Mailing List: : When you use this boilerplate you also agree to be added to our mailing list unless you have otherwise instructed us. Injury to Provider: Client agrees that a violation of this agreement, especially the paragraph labeled “Restriction of Use” above, would be a violation of US Copyright Laws and cause damage to Provider. Acknowledgment of Retained Copyright: Client understands that Provider retains the copyright to the original boilerplates and Provider will use these boilerplates in other engagements. Client understands that other organizations may end up with copyrights of documents that will read exactly like the documents that Client copyrights. Representation of Ownership: Provider represents sole ownership of copyrights referred to in this agreement prior to transferring non-exclusive rights to Client. This ownership began in 2001 and was updated as documents were modified. Waiver of Breach / Jurisdiction: The waiver by either party of a breach of any provision of this agreement shall not operate or be construed as a waiver of any subsequent breach. This Agreement shall be construed in accordance with the laws of the state of Indiana. Unless some other meaning and intent is apparent from the context, the plurals shall include the singular and vice versa; masculine, feminine, and neuter words shall be used interchangeably. In the event of a controversy or a claim arising out of this Agreement which cannot be resolved by the parties of this Agreement or the legal representatives of either, such a dispute may by settled within the jurisdiction of Tippecanoe County, Indiana. Warranties and Limitations: Provider shall not be liable for any damages arising out of the use of these documents. Under no circumstances shall the Provider be liable for any special, indirect, incidental, or consequential damages of any kind or nature whatsoever, including and without limitation: lost goodwill, lost resale profits, loss of data or software, work stoppage or impairment of other goods, whether arising out of breach of any express or implied warranty, breach of contract, tort (including negligence), strict product liability or otherwise, even if advised of the possibility of such damage could have been reasonably foreseen, except in case of personal injury and where to the extent applicable law requires such liability. The rights and obligations of the parties under this Agreement shall be governed by the laws of the State of Indiana. Agreed to by infotex and Client: The use of documents constitutes agreement with all provisions of this agreement.